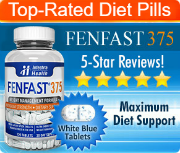 Amphetalean Diet Pills: Is It Able to Work Without Adverse Effects? 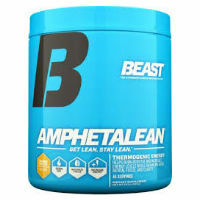 Amphetalean is an over the counter diet supplement that is one of a number of products sold under the Beast Sports brand name. That company is a sports nutrition and diet supplement producer. In the case of this specific pill, the design was meant to provide dieters with a number of different benefits, instead of exclusively offering weight loss benefits that make the process faster and easier. The official website for this product indicates that there are many different advantages that are provided through the use of these pills. Among them are increased fat burning, but also energy boosting and improvements to mental alertness. While those are each supposed to provide their own benefits to an individual throughout the day, they are also all meant to contribute to that person’s ability to lose fat, and to do it with increased speed and ease. It provides more energy for powering through a workout at top performance, it allows the body to use those workouts to burn more calories and fats, and it improves concentration for enhanced motivation and drive. That said, at the same time, these are the claims made by the manufacturer and are not proven results. To understand whether or not this product can live up to those claims, it is important to look at it more closely, including an examination of the ingredients. To start, a quick query for the product in a search engine showed that the Australian Government Department of Health’s official website posted a safety alert with regards to the use of this product. The page that held the warning said that “The supply of Beast Amphetalean powder is illegal.” While the post was first made on May 13, 2013, it remains active at the time of the writing of this review. Though it remains legal to be sold in a number of other countries, the fact that there are some that feel that it is dangerous enough to ban is certainly worth noting. It also underscores the importance of looking into the ingredients in the product to see what it contains and why it could be considered dangerous. When this review was created, the ingredients listed for Amphetalean were: phenylethylamine (PEA), raspberry ketones, evodiamine, and caffeine. 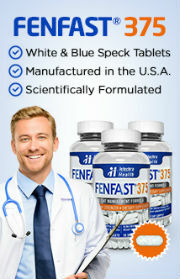 Most of those substances are considered to be quite commonplace in the nonprescription weight loss industry. What is truly notable about them, though, is that they are extremely highly reliant on stimulants and that this combination could create a powerful stimulant effect in the body that could lead to side effects in many dieters, ranging from mild symptoms to those that are notably more severe.